Of all the myriad stories to emerge from the chaos and horror of the Second World War, Ray Parkin’s is perhaps the most fascinating and illuminating. 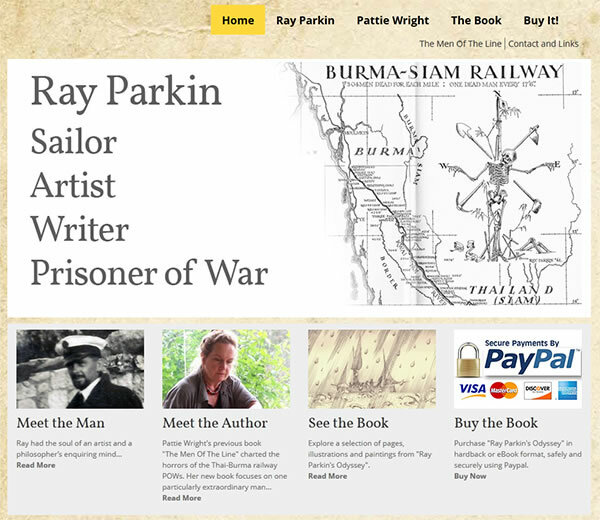 A self-educated Petty Officer, Ray Parkin developed into one of the most acute chroniclers of the POW experience in Java, The Thai-Burma Railway and Japan, writing three classic books on his experiences. He was also an artist of note, and his visual record of those years serves as one of the most powerful and moving accounts of the experience. Ray Parkin’s Odyssey, by Pattie Wright, is the first full and comprehensive account of the life and wartime experiences of the late Ray Parkin. Bek and I had the honour of meeting Ray in 2003, and we’re proud to have created a site to support his astonishing legacy.